You guys, this week has been A WEEK. Between the stomach flu, finding lice in the girls hair, and all the laundry and cleaning that ensued - I am so happy to see Friday! Hoping to have a pretty relaxed weekend and catch up on the rest of the laundry and cleaning so that we are off to a fresh start for next weekend…. and now I sound like a true adult LOL! Have a great weekend everyone! So you know last week when I told you all my husband and I would be doing weekly date nights!? Well we kicked it off on Sunday night this week (which was a good thing considering how the rest of the week went I’m not sure we would have got to it otherwise!). This week was simple and we enjoyed taking it easy and watching a Jack Ryan marathon. Have you all seen or heard of this show yet? Well there are definitely some gruesome parts that I have to turn away from, but all in all it is an addicting action packed show that we are loving! 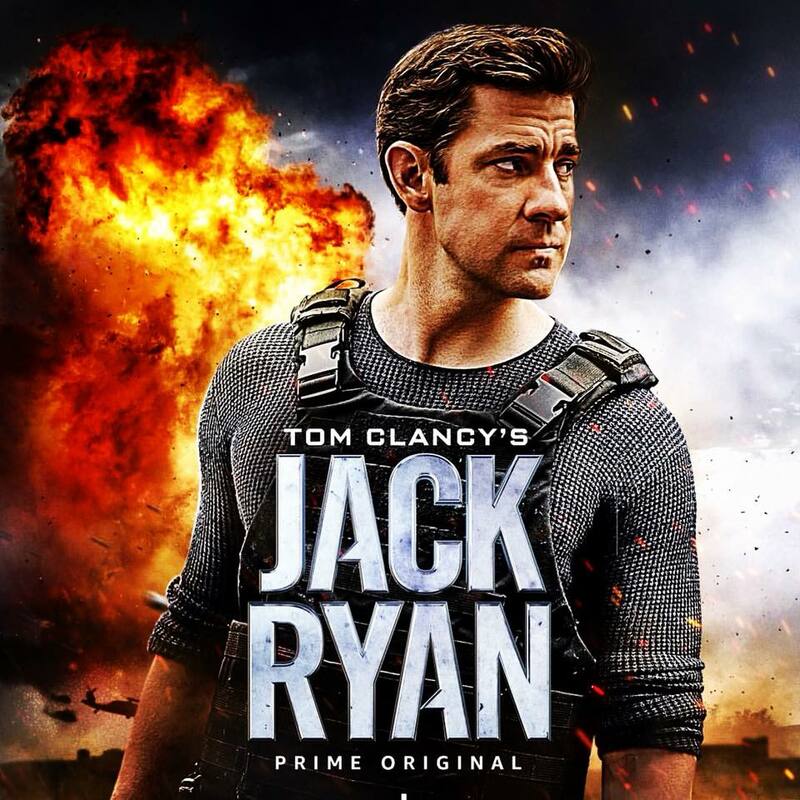 It’s based on a CIA analyst (John Krasinski) who begins becoming suspicious that a money trail may leas to another major terrorist organization. Upon sharing his fears with his boss he finds himself in the center of a scary series of events that begin unfolding. If you like action packed shows you will love this one! Excuse me while I talk nerdy sports for a second. The level of excitement for Chiefs fans is about at an all time high right now. After an amazing season and the introduction of a stellar quarterback to our team, we are about to play in the division playoffs tomorrow afternoon. I can’t remember anytime in recent memory that our team has went into a game of this magnitude with such promise. Now, with that said we play the Colts (which we don’t have a an awesome playoff track record with), and the weather is supposed to be brutally cold with snow and freezing rain…. so we will see! Whatever happens, you can bet my husband and I will have our eyes glued to the TV and all of our Chiefs Kingdom attire on…. GO CHIEFS!! **This post was a day late in going live because I spend FOREVER looking for my favorite Chiefs photo of Arshia and I… it was the Monday night football game right after we got back from our honeymoon (on Halloween nonetheless). It was probably my favorite and most memorable Chiefs games I have ever attended and I can’t find photos anywhere, I am sooooo sad!! Arshia and I have been promising the girls for a while to begin scheduling them in activities again. They were involved with swimming, gymnastics, dance, and a few other activities back in Kansas City but we failed to sign them up for much (other than swimming last summer) once we moved. At this point we have them set up for soccer starting this month (the California weather allows them to be able to play all year long!) and they will also have someone come once a week for piano lessons as they are starting to show a lot of interest in learning. I am also wanting to get them back into gymnastics and/or dance because they really enjoyed that but I am hesitant to over schedule them at only 5 years old! Plus all of those expenses just add up you know!?? But then I wonder, are they going to be at a disadvantage five years down the road when they find something they truly love but didn’t start practicing it at a younger age!?? I’m torn guys… anyone have advice on how to schedule extracurricular activities for your little ones? Have a wonderful weekend ahead everyone!